An endless loop of fabric belt rope mop selectively adsorbs oil while repelling water. The mop wringer drives the mop through the oil, and back to the mop wringer, where the drive squeeze rollers wring the oil out. The recovered product can be collected in a holding tank below the mop wringer. We are devoted towards manufacturing the qualitative range of Mop Cloth. 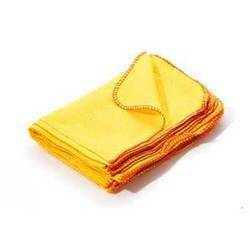 We hold expertise in offering best-in-class Cotton Mop Cloths to the esteemed patrons. Offered product is available to the clients at very economical price. 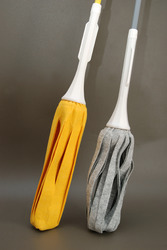 Owing to the wide experience in this domain, we are instrumental in offering Cotton Mop Cloth to our clients.